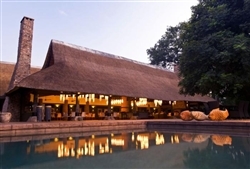 Beneath a canopy of ebony and mahogany, Mfuwe’s thatched buildings are arranged around the banks of the lagoons where an endless stream of wildlife contrives to keep you enthralled as you lounge on the open deck or take a dip in the swimming pool. 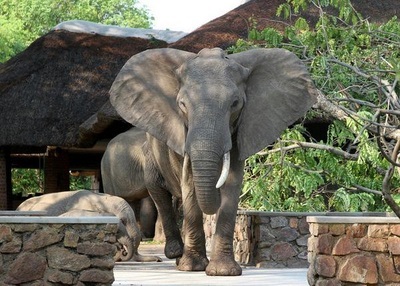 This region of the park is renowned for its prolific game – giraffe, buffalo, antelope, crocodile are constant visitors to Mfuwe Lodge’s lagoon, whilst in November the local elephants famously, and regularly wander right through the lobby, lured by a nearby wild mango tree. 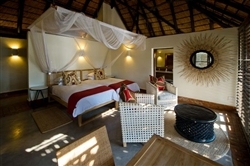 Mfuwe Lodge’s relaxed charm and enviable surroundings make it the perfect stopover. The Lodge also offers you the chance to relax at its Bush. 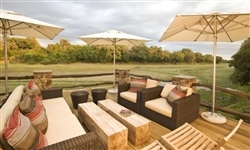 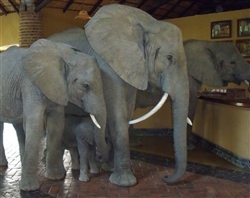 The game-viewing potential at Mfuwe Lodge and the surrounding area is second-to-none. 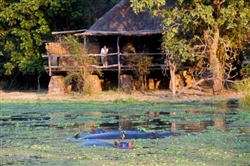 Walking safaris can be arranged on request, but the majority of outings are game drives, allowing you to explore as much of this fascination region of the Luangwa Valley as possible. Drives are led by experienced guides, setting out at first light, and then again in the late afternoon when the wildlife is at its most active. 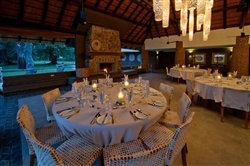 After sun downers, spotlights are used to pick out a new cast of nocturnally active creatures. 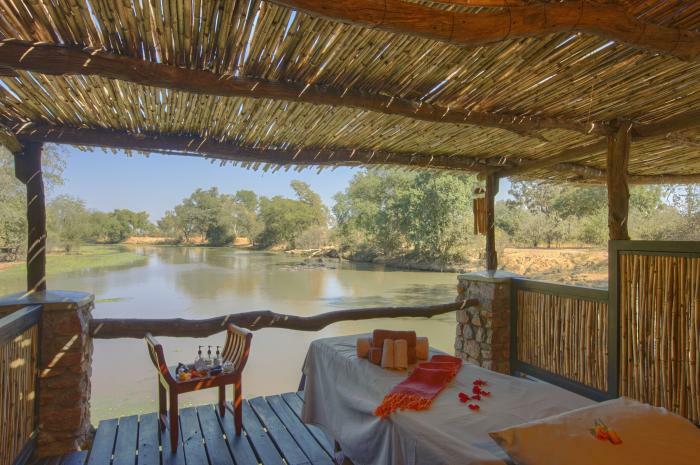 You can also enjoy some excellent bird watching; cultural visits to the local school and village as well as a textiles/handicraft market.